This level of intolerance is not good; for that to come down, we must, as a nation, mature, the All India Majlis-e-Ittehadul Muslimeen chief says. 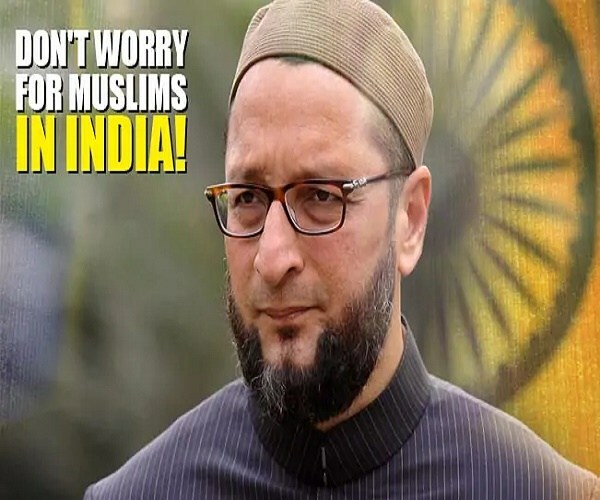 If there is one thing that rankles, it is being branded as the BJP’s “B-Team”, says All India Majlis-e-Ittehadul Muslimeen (AIMIM) chief Asaduddin Owaisi, saying the party is contesting only three seats countrywide. Are you looking at a pan-India expansion of your party? Naturally, every party wants to expand. This is why we are contesting in Aurangabad and Kishangunj. Despite contesting only three seats, I am being branded a “vote cutter”, the ‘B-Team’ of the BJP. I would request them to make it ‘A-Team’ as ‘B-Team’ sounds a bit demeaning. So, what is your view on the government led by Modi? As far as performance of Mr. Modi is concerned, you see in 2014, he used to address public meetings in which he spoke about achhe din. He hardly utters it now. He never talks about demonetisation. At the time, the message was about black money, depositing ₹15 lakh, employment for youth. He would say ‘my foreign policy is different’. It is not. It is the same. We are still dithering on China. There is no Pakistan policy. Our influence has been reduced in our own neighbourhood. There is a great danger now with the Americans leaving Afghanistan, we don’t know what will happen at our western borders. This is why PM is sticking to security, terrorism, Muslims, Pakistan. ALSO READ: Why PM Modi 'Tightlipped' On The Controversy Of 'Jinnah Photograph In Aligarh Muslim University'? What are the issues in the current elections? I feel this is an open election. There is no wave as such. That is why, out of the 135 seats in south India, they will get a few seats, may be here or there. I don’t think the BJP can even retain the two seats in Andhra Pradesh, one in Telangana and one in Tamil Nadu. What do you think the people are looking for? One thing is for sure, that this government has not lived up to its promises. There was talk of a strong leadership, supreme leader. That is not there any more. Every State has its issues and even every constituency has different issues. So Pulwama and Balakot will not make much of a difference? Why should it make a difference? If you talk about Pulwama, then BJP has no place to hide because it is an intelligence failure. When Balakot happened, I said we believe the statement of the Foreign Secretary. But now, PM says Pakistan is counting corpses. Amit Shah says 250. The Agriculture Minister says 350. Ahluwalia says our intention was not to kill. So who should we believe? Is this election also bereft of the Ram Mandir issue? In the first phase, Mr. Modi would be lying low. Come second or third phase, qabrastan-shamshan will begin. What are your views on mediation on the Ayodhya issue? We have no problem with mediation and will abide by it. My personal objection is about Mr. [Sri Sri] Ravishankar because he is close to subject matter and parties. But I hope that he lives up to the expectation of a mediator, wherein you are completely unbiased. You don’t carry baggage, and listen to all parties. ALSO READ: Is BJP's Game Plan To Defeat MP Asaduddin Owaisi In His 'Hyderabad' Constituency? You have been talking about KCR (Telangana Chief Minister K. Chandrasekhar Rao) as a person of PM calibre. Do you think the proposed federal front could be a reality post-polls? Why not? I think the country requires a non-Congress, non-BJP government. This is not only to represent political diversity, but to give a new economic path. Most important points are: in these five years, institutions of democracy have been weakened. The hatred that has been created against the minorities and Dalits. I have my doubts that even if the government changes, the level of hatred will not decrease. This is scary. The government of the day tried to weaken institutions of democracy. How would you de-institutionalise this ‘hatred’ you speak of? This level of intolerance is not good. For that to come down, we must, as a nation, mature. These are no more ‘fringe elements’. The fringe are the main players now. They should be controlled. That can happen only when governance is done by rule of law and not favouritism. Democracy demands that you have rule of law, not rule by law. Sections of media have reported that a judge stated that important evidence in the Samjhauta blast case was not brought on record. What is your opinion of the investigation agency? If they have any self-respect left, the National Investigation Agency investigation officers’ team should be suspended. The Home Minister should apologise, the government should apologise. Why don’t you appeal when judge himself is saying crucial evidence was not shown? Whether it is Mecca Masjid, Ajmer blast, you don’t appeal. This is complete favouritism. There is an Urdu saying, baarah khoon maaf. If you are close to chowkidar, everything is forgiven. What are the electoral prospects in Telangana? I feel 16 seats will be won by the TRS. One, Hyderabad, would be won by my party (Telangana has 17 seats). Congress has lost perception and narrative battle. BJP, again, the same. What about your foray into AP with YSRC’s Jaganmohan Reddy? The objective is that he [Jaganmohan Reddy] wins 20-plus Parliament seats. I feel that he is on the path to this. We are in touch through different people. If, and when, he wants, I will go. Otherwise, I am happy here. How do you intend to replicate the Maharashtra model of Muslim-Dalit alliance across the country as the dynamics is different States are different? I accept that it is not going to be easy. But there is a churning, a realisation on the ground. It is not a wrong statement to make, but Prakash Ambedkar is now the undisputed leader of the Dalit community.